Me, my bike, and the world. Meet Rockhopper. This is my bike. Rockhopper is a 2013 Triumph Tiger 800 XC in matte green color. I bought it used with just 2,800 miles for $9,000 a couple of months ago from a guy who had moved up to a BMW R1200GSA. 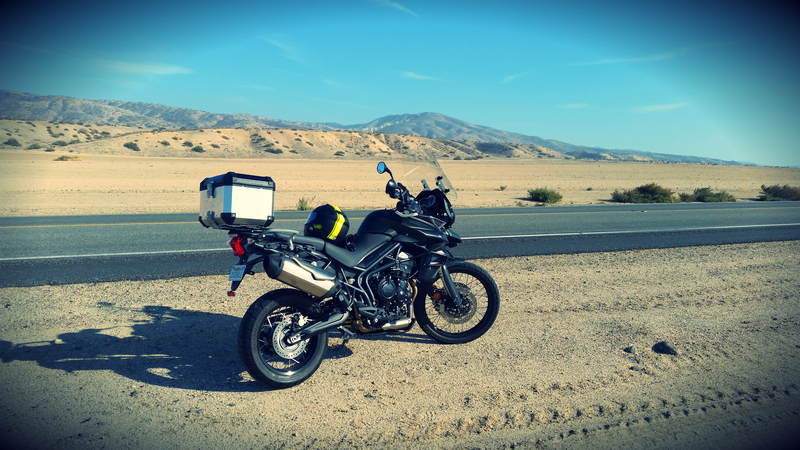 The only addition the bike came with was a set of Touratech fairing crash bars. Everything else on the bike is stock, even the tires. – Regular chain maintenance every 400 miles. If riding in dirt or mud, every 200 miles. I’ll update this post soon with more information.